A notable characteristic that sets the Turris Omnia apart from its conventional counterparts is firmware updates. Typically, firmware must be installed manually by the user, the average person with little knowledge or interest in their home network will likely neglect firmware updates by leaving their network unsafe. The Turris Omnia will install firmware updates itself using a unique, automated security update system. Internet association CZ.NIC launched the campaign for its Turris Omnia router not too long ago. In less than 24 hours, the team reached their $100,000 goal, and pledges are still rising. Now the project has amassed $191,098 from 916 backers and still has 55 days of crowdfunding to go. The Turris Omnia will feature a Marvell Armada 385 1.6 GHz dual-core ARM processor, 1 GB of DDR3 memory, 4 GB of flash storage, five gigabit LAN ports, one gigabit WAN port, an SFP module, two USB 3.0 ports, two Mini PCIe lanes, one optional mSATA lane, dimmable LEDs, RTC with battery backup, a SIM card slot for LTE backup, and support for 3×3 MIMO 802.11ac and 2×2 MIMO 802.11b/g/n protocols. An onboard chip also handles encryption and identification for the Turris Omnia. CZ.NIC is not the first to provide open source routers. There have been successful ventures by using open source software in the past. For instance, Buffalo has 4 routers that come pre installed with DD WRT. Asus, Buffalo, Linksys and Netgear use Tomato firmware in some of their routers. Others, such as Trendnet and D-Link, use OpenWrt also. 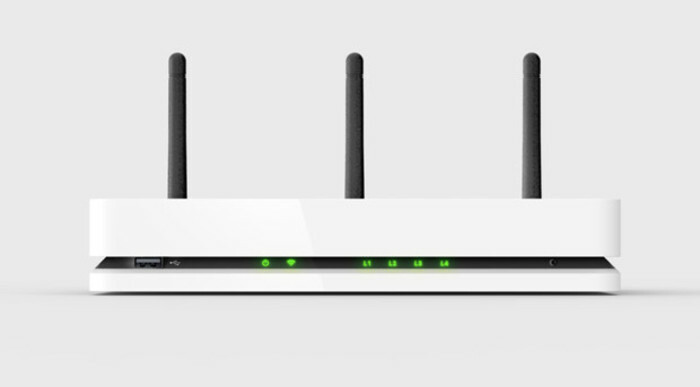 The Turris Omnia router is managed by TurrisOS, the router’s OS that also handles the device’s auto update characteristic. TurrisOS is based on OpenWrt, an open source, Linux based OS designed to substitute vendor supplied firmware in supported routers and range extenders. OpenWrt suppliers the Turris Omnia with NAS, DLNA media server, print server, FTP server and virtualization performance.